Our Christmas #kidsstickerswap was a huge success, we had a few more joiners this month, particularly from overseas, so a big warm welcome to them. 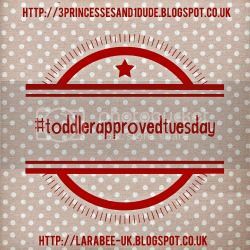 The #kidstickerswap Facebook group is becoming a lovely little community where we get to share some of the activities we've been doing. I'll be doing a post next week featuring some of our swappers at play. There are lots of stickery ideas for activities and learning over on the #kidsstickerswap pinterest board! here are some of my favourite ideas that we'll be trying when we need a quiet activity over the holidays. You don't have to be a sticker swap participant to follow our board, if you are interested in future swaps follow the LarabeeUK Facebook page, where you'll find details when the time comes. 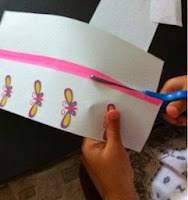 We are going to try these to make a card for Daddy's birthday. My little lefty needs a bit more scissor practice at cutting straight, so a bit of washi and some stickers might help with that! 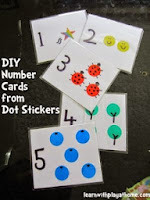 I don't think we'll use dot stickers but will make something similar to this for number recognition! We'll also be breaking out some of the lovely crafting goodies we've received in our swaps. Look out on Instagram and twitter for pictures! These are all fantastic ideas! We must look at doing more sticker activities. Thanks for sharing. Looks like a lot of fun! Stickers are cool! 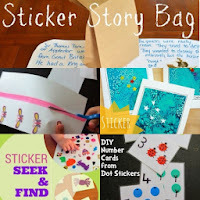 Lovely ideas for some sticker fun. My kids love stickers. Thanks Karen, never can have too manky ideas to pass the time with some sticker fun!